As a part of our commitment to your privacy, Kevane & Company supports and adheres to the guidelines and practices adopted by the Direct Marketing Association's "Privacy Promise to American Consumers." We have agreed to (1) provide customers with notice of their ability to opt out of information rental, sale or exchange with other marketers; (2) honor customers' requests not to share their information with other marketers; and (3) honor customers' requests not to receive mail, telephone or other solicitations from Kevane & Company Brands. 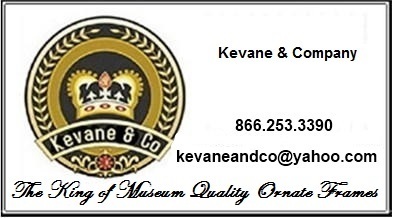 We use the personally identifiable information you provide for internal purposes, such as confirming and tracking your order, subscription or registration, analyzing trends and statistics, informing you of our new products, services and offers, and providing you with information from and about Kevane & Company. From time to time we might establish a business relationship with other persons or entities whom we believe trustworthy and whom we have asked to confirm that their privacy policies are consistent with ours. These are known as our Select Partners. In such cases we might share and cross-reference information, including personally identifiable information about you, that will enable such persons or entities to contact you regarding products and services that may be of interest to you. To serve you better, we may combine information you give us online, in our store or through our catalogs as they may appear from time to time. We may also combine that information with publicly available information and information we receive from or cross-reference with our Select Partners and others. We use that combined information to enhance and personalize your shopping experience with us, to communicate with you about our products and events that may be of interest to you, and for other promotional purposes. Although unlikely, in certain instances we may disclose your personally identifiable information when we have reason to believe that it is necessary to identify, contact or bring legal action against persons or entities who may be causing injury to you, to Kevane & Company or to others. We may also disclose your personally identifiable information when we believe the law requires it. We want to communicate with you only if you want to hear from us. If you prefer not to receive information from us or from our Select Partners please let us know by calling us at 1-866-253-3390, by sending us an e-mail at kevaneandco@yahoo.com. When sending email please be sure to include your email address, full name, and specifically what information you do not want to receive. If you would like to update or correct your email address, street address or other personal information with us please contact us the same way. Kevane & Company takes special care to protect the safety and privacy of children. Our web sites are general audience sites. We do not permit children under the age of 18 to purchase products on our web sites nor do we permit anyone under the age of 13 to register with us where and when that is applicable. We also do not send email correspondence to anyone who tells us that they are under the age of 13.